The term 'Refurbished' refers to anything that has been renovated or redecorated and was used in general parlance, especially with respect to buildings. However, this term has become more synonymous with slightly damaged or malfunctioning electronic goods that have been restored to almost original working condition and looks by the manufacturer. Let's first briefly understand what refurbished could mean when it comes to gadgets. There are instances where someone might have purchased a brand-new product say a mobile phone that might be slightly defective, that might have either external or internal damages that are not too severe but affect the look and feel and sometimes performance. For example, a brand-new smartphone ordered online might have been received with a broken screen which happened during transit. If proven, the seller might offer a replacement or refund if it qualifies for one. Many times, based on the condition of the returned item the maker might try to get some repairs done on the item or get a glass replaced for the broken smartphone to restore it to its original form and try and resell this item in the open markets by marking it as 'Refurbished'. On the other hand, there are second-hand goods which have been used for some time and how the owners want to resell it. Obviously, the value of such items – both used and refurbished, reduces considerably, and the price of such items will be less, even lesser than 50% of the actual value of the item if were new. The remarkable difference in used and refurbished goods would be that refurbished goods might be brand new items in mint condition that have been returned to the maker for repairs and restoration, so you might be enjoying an item that's launched relatively recently in the market. There is a huge market out there for refurbished goods and they are quite a favourite with bargain hunters who are keen to save a few bucks on their way to upgrade their gadgets to the next level and are not too fussy about owning a refurbished item which looks and works almost like new. While you go shopping online you are quite likely to come across a huge range of refurbished gadgets which could include mobiles, smartphones, tablets, PCs, pocket PCs, handhelds, PDAs, printers, fax machines, scanners, portable swiping machines and other gadgets, many from leading brands. When you come across such a marked item during your search for a product, there are certain aspects you might want to consider when checking it out. Let's take a look a few of them. It might help you even negotiate a suitable price. For more obvious reasons than not, this is one of the primary aspects one would look at when considering the purchase of a refurbished item. Brands hold a lot of weight when you are checking out refurbished goods because of the simple reason that anything branded has a lot more popularity, credibility and a promise of quality that non-branded stuff don't propagate. Again, once you settle for a brand, the model matters. There are popular models and not so popular models. The popular models are ones which are proven to demonstrate better performance, durability and ease of use. Thus, while you weigh various options, going in for something that is already popular can help you narrow down your search for a required gadget that is refurbished. This is one thing you would want to check with any purchase, but it's more necessary when it comes to refurbished goods. When buying online, the sellers usually mention the item condition in their description, whether there are any signs of wear and tear, signs of damage, scratches or anything else that affects the look and feel or of the item. In case the refurbishment was done on internal components, you should know if this affects the performance of functionality of the item if any. For example, in some instances where a mother-board (the circuitry that controls the functioning of most electronic devices) is replaced or repaired with some parts replaced, the overall performance of that gadget could be affected, and it may not function with that much efficiency as would the original item with the same board. If you are buying offline and if you have the option, to aid you in your decision, do ask the seller for a brief description of the repairs that were done on the device or gadget to help you understand whether the performance is affected in any way. Do a rain check on the accessories that come with the refurbished device. Normally it would be best if the original set of accessories and fittings bundled with the product are included in your purchase. This would ensure compatibility which is essential for the best performance of any electronic gadget. Quite often the original set of accessories is skipped and a compatible or equivalent one is offered with the product. Must we mention here that the original set of accessories such as headphones, batteries and power adapters are quite hot sellers in the spare parts market! Other important aspects you would want to consider is whether the software/firmware, device drivers and the essential user manual that comes with the device is included. For items such as printers and scanners as it's essential as it's a pain to get the compatible ones elsewhere. The user manual becomes essential when you want to set up certain devices that require some mechanical assembly such as huge Xerox machines and multifunction devices. Be sure to switch on and test the functioning of refurbished devices. 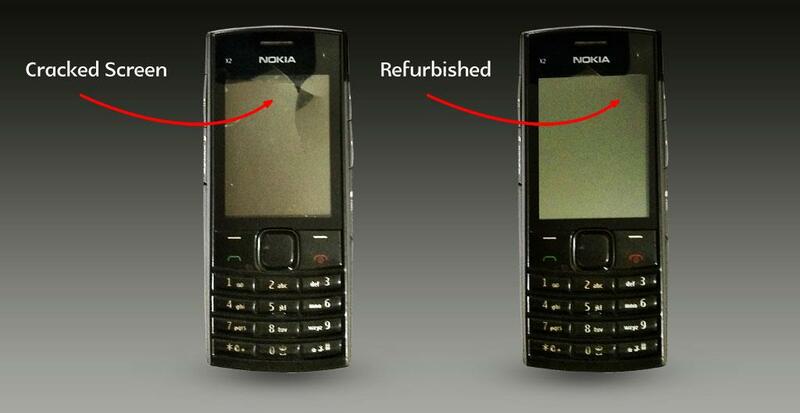 Quite often, refurbished devices might not function with full efficiency as that of the original. This is quite possible when an original spare might be replaced with something that is quite like the original but might not be that compatible. Quite often when electronic components are replaced the devices could start exhibiting behaviour such as slowdowns or heat ups. In one curious case, a refurbished mobile that looked in mint condition and worked like a charm was repaired for a cracked display screen that wouldn't allow the user to key in a '9' and the characters 'w', 'x', 'y', 'z', because when making a replacement the manufacturer skipped replacing the keypad just because it was not cost-effective. So now we have a phone that rocks but the inability to use the '9' key make you want to break your phone on a rock. Many items out there require regular firmware or software updates when available and periodic maintenance. Quite often such updates and maintenance are linked to the original warranty of the product and might even require a license or subscription. Before making a purchase, it would be advisable to check if this is the type of device that requires you to register with a certain portal or provider to be eligible for the updates or you are looking for potential issues and security vulnerabilities in the future. If your device falls into this category, it might be a good idea to request the seller to provide you with the necessary access to the updates. Do check online if the necessary spares are available for your refurbished product. This is especially true for peripherals such as printers, copiers and multifunction devices. It would be interesting to note that sometimes the model of the refurbished product you want to buy might be manufactured or made outside your country and in such cases, the availability of spares might be local to a region. In such cases, if you suspect that you might require spares soon, you need to make sure they are available in your region. Do check on the warranty as an option because even if the original warranties might not apply on refurbished products, there is often some kind of warranty on some of the components that might still be applicable when the main warranty on the item is no longer valid. 8. Ask if it manufacturer refurbished or someone else? Items refurbished by the original manufacturer have some advantage over those done by others for the simple reason that you can rest assured that items taken care of by original manufacturers would use original spares. When items are refurbished by anyone else, all the warranties are void and there is no guarantee that the parts used are original. Finally, do look at the shipping and returns policy of the seller to understand whether you would be able to return the item in case you find it faulty or doesn't work as promised. Many times sellers mention clauses as 'No Returns' and 'As is where is' condition which should caution you to double check on all the other aspects mentioned above.